The Crystal cat stack features five stones that are 4mm each. Cat heads are featured on both sides. 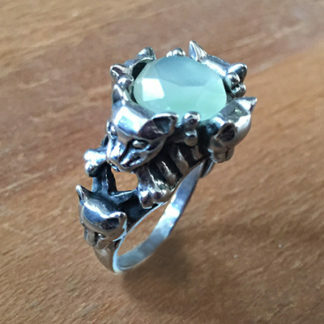 This ring is made to stack against the Freyja Crystal Cat Ring, Crystal Skull ring, Crystal Skull Mega Stack rings, with other Crystal cat or Crystal Skull Mini Stack rings, and with most other rings you may own. The Mini Stacks are stainless steel and very limited. There will only be 33 of each version. 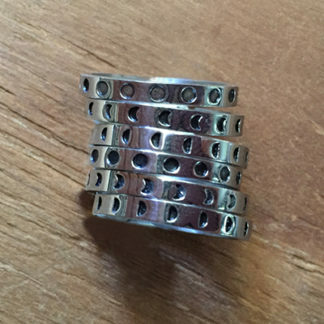 The Mini Stacks are adjustable and can be adjusted from a size 4.5 to an 11 if worn alone. 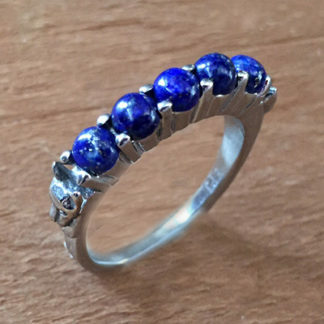 If worn with other rings they will fit a size 4 to 10.5. 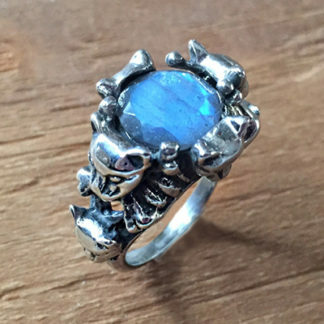 If you want this ring pre-sized before shipping please write your size in the notes. Stones vary because they are all natural. 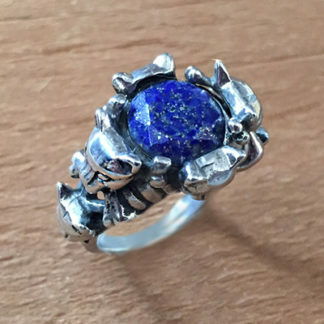 Lapis Lazuli is your connection to the most divine higher self.